Our DIY kits are incredibly easy to construct and come with all of the hardware needed to create foil balloon arches and columns. Choose with included electric air inflator or without. 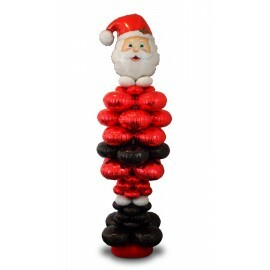 Ideal for special events, occasions, and promotions! 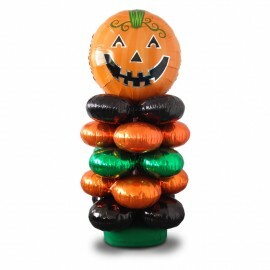 Kits de Arco y Columna de Mylar Hay 6 productos. 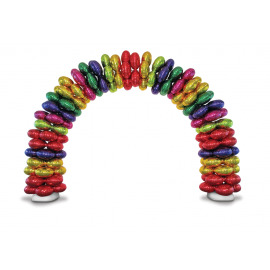 This Foil Balloon Arch Kit is a do-it-yourself kit that comes with an electric inflator and all of the hardware you need to create a 11-ft. x 9-ft. foil balloon arch! Balloons not included. 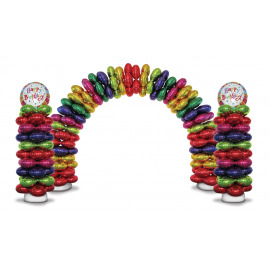 This deluxe foil balloon arch and column frame kit is a do-it-yourself kit that comes with an electric inflator and all of the hardware you need to create a 11-ft. x 9-ft. foil balloon arch plus two 6-ft. columns! Balloons not included. 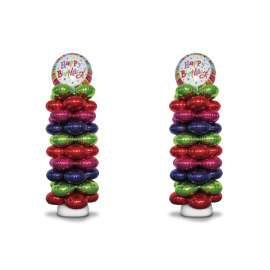 This foil balloon column kit is a do-it-yourself kit that comes with an electric inflator and all of the hardware needed to built two 6.5-ft. foil balloon columns! Balloons not included.